Well, it’s here! (We’re not entirely sure how it’s Christmas again already, but we’re here for it!) This weekend may be filled with last-minute shopping, cookie-baking, tree-trimming, or cleaning the house for incoming guests. Or, you might be really good at getting things done in advance, and in that case, enjoy the downtime! Have a safe, warm, and wonderful holiday, whatever you do! Half Baked Harvest shares 16 favorite Christmas drinks, which is just perfect since we couldn’t choose just one (there are 12 days of Christmas, right?). Elsie Larson, one half of the duo behind the spectacular DIY site A Beautiful Mess, shares the first photos of her and her husband’s newly-adopted little girl, Nova. If you had been following their anticipation—or even if not—it’s such a wonderful, feel-good moment to kick off the holidays. All those delicious holiday spices plus eggnog, plus frosting, all in a snowman? 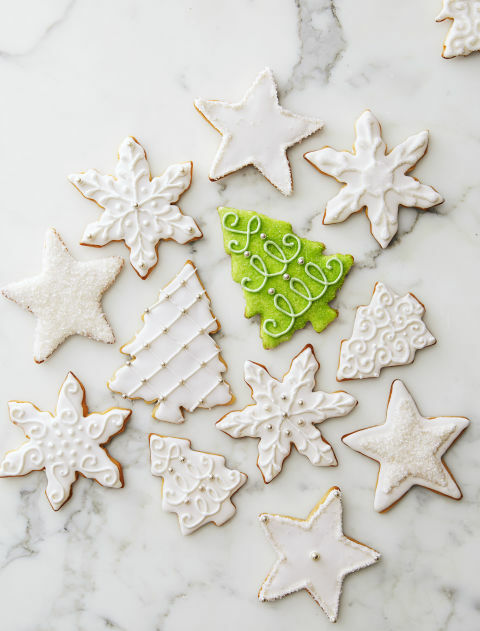 This might be the ultimate holiday cookie. For other cookie inspirations be sure to check this link out. The holidays are an exciting time, but they can be stressful, too, and when you throw a whole bunch of family in one room, things can get a little…dramatic. Wit & Delight shares 7 tips for keeping happy during the holidays. Is the Hallmark channel your guilty pleasure during the holidays? You’re definitely not alone. The Kitchn’s drinking game is about to make those nights spent in front of the television a lot more interesting.